Michael Ehline, the president of Ehline Law Firm PC, is an honorably discharged United States Marine who went on to become a lawyer on the California State Bar Law Office Study Program with no undergrad. His friend, attorney Gary Dordick, helped him gain admission to the University of West Los Angeles School of Law, where he attended classes at night to earn his Juris Doctorate after he was already a practicing, duly admitted attorney. Before this, Ehline worked as a paralegal for several of the most prominent catastrophic injury lawyers in Greater Los Angeles.Ehline is admitted to practice law California Supreme Court and several federal courts, and tried three cases to the jury while he was still in law school, as a Certified Law Student. 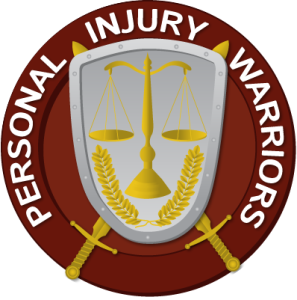 In the last ten years, Michael Ehline has recovered more than $30,000,000.00 for seriously injured victims who had suffered injuries due to no fault of their own. Mr. Ehline focuses on vehicular accidents, with spine and lumbar injuries being a primary area of his law practice. 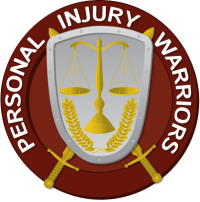 He is a prolific author and motorcycle rider, and is known in the injured biker community as the: "Motorcycle Rider's Friend. "Los Angeles Magazine has named Mr. Ehline Southern California SuperLawyer's Rising Star in the last five years in a row from 2009 - 2014. Only about 5% of lawyers are chosen to be Rising Stars, based on being secretly selected by their peers, based upon having achieved recognition above and beyond a typical, average attorney. Ehline is also a member of the Million Dollar Advocates Forum, which is also known for being one of the top litigation lawyer organizations in the US. In fact, this group is so elite, because so few lawyers have ever achieved that million dollar plus verdict or settlement. Ehline was also selected by the Circle of Legal Trust as one of the most reliable and prolific attorneys online from 2012 - 2014. The highly prestigious Circle of Legal Trust is an invitation-only organization and requires a vote of original board members to get considered for membership. 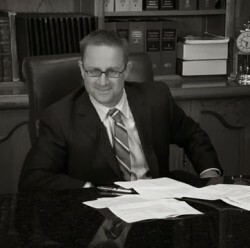 Michael Ehline also serves as a member of multitude of professional organizations. Inter alia, these include the American Judicature Society (AJS), Consumer Attorneys of Los Angeles (CAALA), Consumer Attorneys Of California (CAOC), the South Bay Bar Association (SBBA), American Inns of Court, Web of Trust, and Marine Corps. Association (MCA.) Additionally, Ehline is a member of the International Motorcycle Lawyer Association (IMLA), International Society of Truck Injury Lawyers (ISTIL), and the Bus and Carriage Injury Attorney's Association (BCIAA). Mr. Ehline has led numerous legal organizations, and acted as a guest speaker at Southwestern Law School on behalf of retired Appellate Justice J. Gary Hastings, and has also spoken in the name of the American Paralegals Association. Also, Ehline has lobbied Congress in Washington DC in the name of the International Cruise Victims Association (ICV.) Mr. Ehline is a member of Spinal Cord Meeting, which is an international association of attorneys and doctors worldwide, who discuss the latest technology and treatment for back and related spine injuries. Ehline is also a member of the National Spinal Cord Injury Association, the Brain Injury Association of California, and the North American Brain Injury Society, to name just a few. Ehline is a frequent Google HOA speaker for Circle of Legal Trust, and also heavily involved in training and teaching prospective law students for Law Office Study Net, a group dedicated to teaching less fortunate individuals how to become attorneys by reading the law. Ehline himself has participated as an extra in films, including a music video by musician, Rylee Preston, dedicated to helping our returning war veterans. Ehline has also been a guest on the Nancy Grace Show and has been featured in California Lawyer Magazine, the Daily Journal, CNN, and Noticias. Ehline is dedicated to assisting downtrodden individuals as their legal champion.